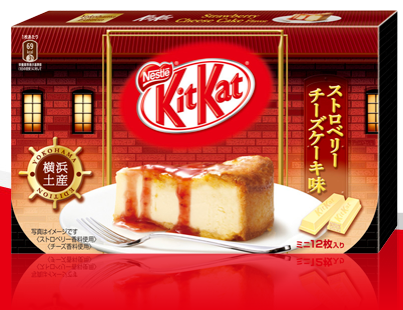 Strawberry cheesecake Yokohama edition. 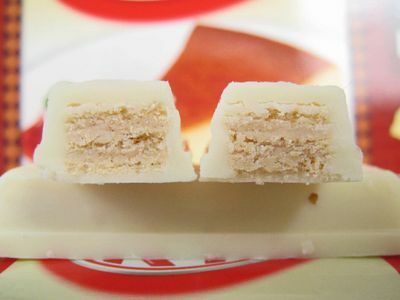 The creamy strawberry cheesecake is wrapped with white chocolate. Contains 12 bags of Kit Kats!